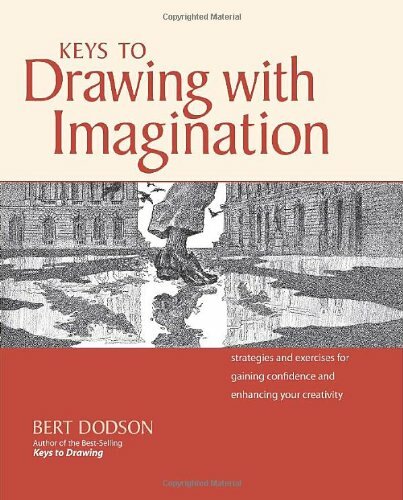 This book is from Bert Dodson, who's also the author of the book Keys to Drawing which I like. He's not just an artist but also a teacher. He has studied and taught creativity for over twenty years, and through this book you can really feel that. Keys to Drawing with Imagination is a book that focuses on the thinking, more specifically on thinking differently and conjuring ideas. The many short concise exercises provided comes with practical tips that you can mix and match on your own. He makes drawing fun with the interesting and stimulating exercises. For beginners, well, this is not a technical drawing technique book with step-by-step tutorials, so you won't learn any technical drawing skills. This book can be picked up at any time to any page for some inspiration, no matter how many times you've read it before. It's recommended to artists who want to have more fun and freedom with their art, or who have constant drawing blocks.